The Milwaukee Brewers dropped to 5-11 against the Pittsburgh Pirates this season, falling 3-2 in the series finale on Sunday afternoon at Miller Park. The Brewers missed a chance to gain ground in the NL Central Division race after the Chicago Cubs fell 2-1 to the Cincinnati Reds. Chicago’s lead remains 2 1/2 games on the Brewers in the Central. Pittsburgh’s Trevor Williams held the Brewers to just two hits over six innings while striking out seven. In two starts against the Brewers this season, Williams has shut them out for 13 innings, allowing just three base hits and striking out 14. The Brewers didn’t score until the ninth inning when Jesus Aguilar and Domingo Santana hit back to back solo home runs to climb to within a single run before the late rally fell short. 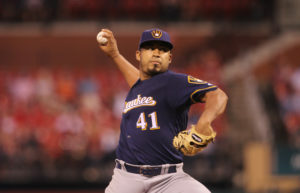 Jhoulys Chacin (14-8) took the loss for the Brewers, pitching five innings and allowing two earned runs on three hits while striking out 4 and walking 3. The Brewers will have to face the Pirates one more time, set to travel to Pittsburgh for a weekend series against the Pirates. They’ll open a 3-game series with the Cincinnati Reds at Miller Park tonight. Starling Marte’s inside-the-park home run in the fifth inning proved to be the difference in Pittsburgh’s 6-4 win over the Milwaukee Brewers in the series opener at Miller Park on Friday night. Corey Dickerson and David Freese also homered for Pittsburgh as the Pirates put an end to their four game losing streak. Rookie Nick Kingham, who took a perfect game into the 7th inning against the Cardinals in his debut last week, pitched into the sixth inning against the Brewers last night to earn the win. Junior Guerra (2-2) gave up five runs in five innings of work to take the loss for the Brewers. Manny Pina and Domingo Santana homered in the loss. The home run for Santana was his first of the season as the Brewers dropped to 19-14. Game two of the series is today. The Colorado Rockies and Chicago Cubs had already lost their games and the Milwaukee Brewers had their closer on the mound with two outs in the 8th inning, trying to secure a victory over Pittsburgh and close the gap in the playoff race. 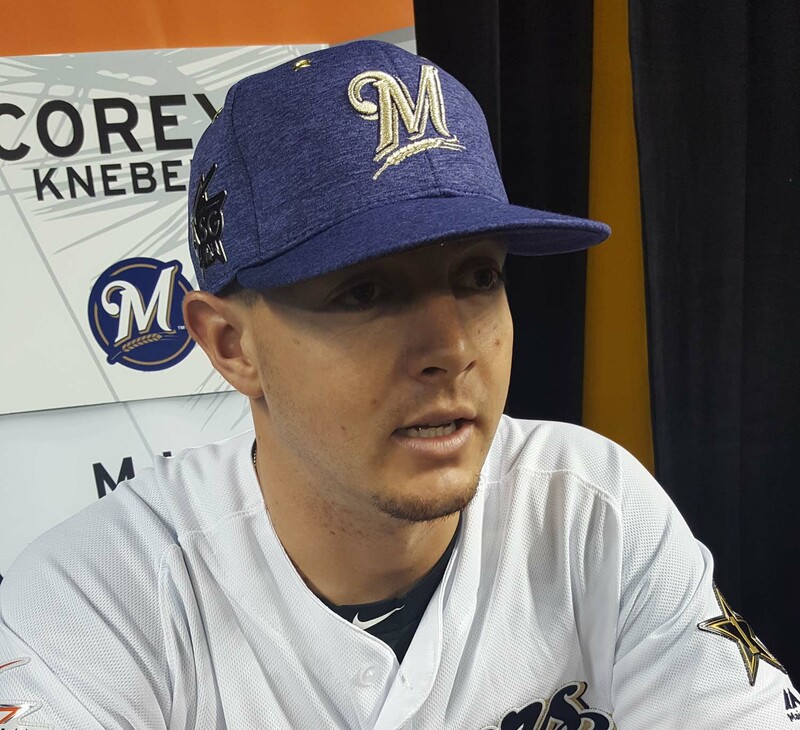 Corey Knebel hasn’t failed too many times this season, but he let one slip away on Wednesday night at PNC Park. Knebel’s throwing error on a routine play allowed the Pirates to tie the game 4-4 in the 8th inning. Then in the 9th, Knebel served up an Adam Frazier two-run, walk-off home run to send the Brewers to a 6-4 loss. The Pirates saw their 7-game losing streak come to an end and avoided a sweep at the hands of Milwaukee. Had the Brewers held on, they would have pulled even with the Rockies in the National League wild card race and within 2 1/2 games of the Cubs in the race for the Central Division title. The Milwaukee Brewers continue to struggle to score runs, but they have their pitching staff to thank after yet another dominating performance. 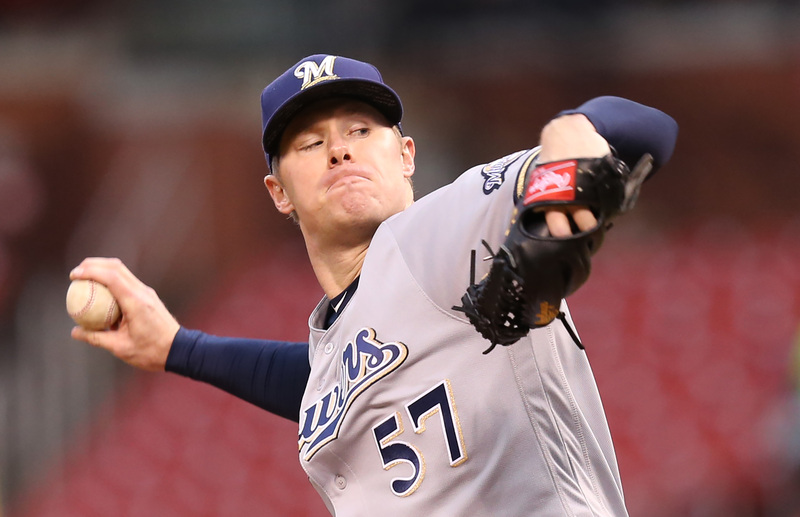 Chase Anderson tossed six-innings of 5-hit, shutout ball to lead the Brewers to a 1-0 win over the Pittsburgh Pirates at PNC Park on Tuesday night. 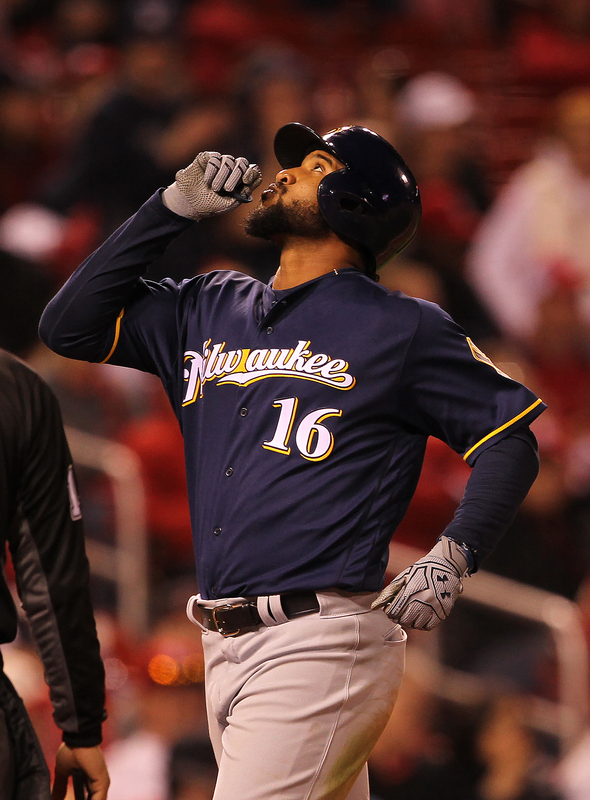 Domingo Santana homered in the fourth inning and the Brewers made it stand up. Anderson struck out eight over his six innings. 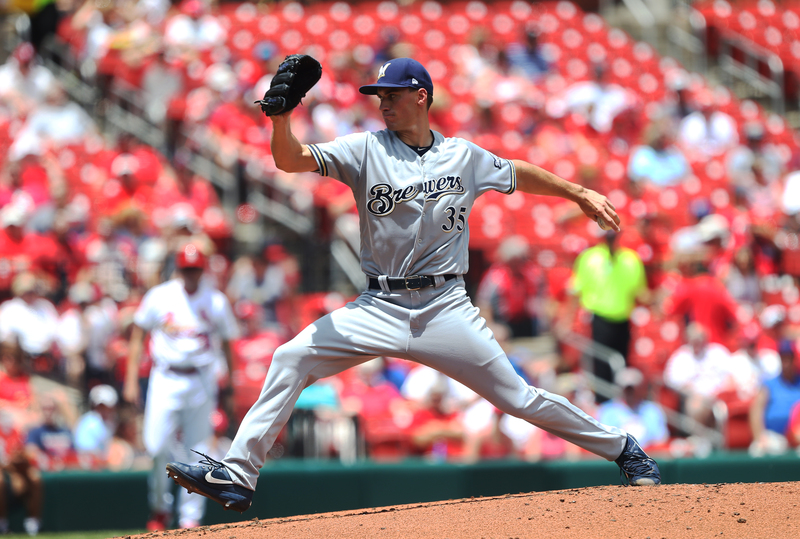 Anthony Swarzak worked the 7th and 8th and Corey Knebel came on in the 9th for his 37th save of the season. The win is the 81st of the season and guarantees no worse than a .500 season. They’re 11-games over .500, which ties their high mark for the season. The Milwaukee Brewers rebounded from a shutout loss to Pittsburgh on Monday by beating the Pirates 5-2 on Tuesday night at Miller Park. Manager Craig Counsell used a total of seven pitchers with starter Brent Suter giving the Brewers just three innings. The bullpen responded with six scoreless frames to pull out the victory. Jeremy Jeffress followed Suter, then it was Oliver Drake, Jared Hughes, Anthony Swarzak, Josh Hader and Corey Knebel to finish it out. 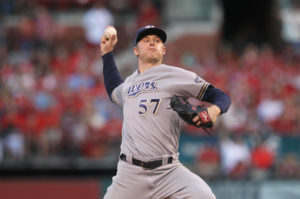 Knebel registered two more strikeouts and notched his 35th save of the season. After outscoring the Chicago Cubs 20-3 over the weekend, the Milwaukee Brewers managed just three hits on Monday night and fell to the Pittsburgh Pirates 7-0 in the series opener at Miller Park. Pirates left-hander Steven Brault entered the game with a 5.79 ERA but held the Brewers to a hit and a walk in six solid innings. Brault also singled, doubled and drove in a pair of runs. The Brewers didn’t reach base on Brault until the fourth inning, when Ryan Braun walked. Jesus Aguilar gave the Brewers their first hit in the fifth. Brandon Woodruff (1-2) took the loss for the Brewers. He pitched five innings, surrendering six of the seven runs on 7 hits, including a pair of home runs. Andrew McCutchen clubbed his 24th home run, a two run shot in the first. Starling Marte added a two-run shot in the fifth, his 6th of the season. Jordy Mercer also clubbed his 14th of the season in the 8th inning, off of Jacob Barnes. Brent Suter (2-2, 3.55) gets the start in game two of the series for the Brewers on Tuesday night. Gerrit Cole (11-9, 3.93) gets the start for the Pirates. First pitch is set for 6:40 p.m.
Travis Shaw clubbed a three run home run, but that’s all the Brewers could muster offensively, suffering their third straight loss, 4-3 to the Pittsburgh Pirates at PNC Park. Junior Guerra held the Pirates scoreless through five innings, but the sixth inning would be his downfall. The Brewers have lost three straight games for the first time since June 10-13 and their lead over the second place Chicago Cubs is down to 2 1/2 games. The Cubs beat Atlanta 5-1 last night, their fifth straight win.